A lot of people have a very twisted view of the Stock market. In fact, listening to what some people talk about the Stock market, you might easily think that it is some sort of gambling casino. Admittedly, there are a lot of traders in markets worldwide who think that way too. They expect to come in and make big money quickly, or lose it all just as quickly. Well, actually this is hardly the right attitude to have if you want to participate in this market. The Stock market is a market where investors are expected to have serious investment strategies and not just to take chances. Your Personal Financial Mentor gives you some priceless tips on how to go about investing the market. One very important don’t is this: Don’t put all your money in the market, especially not when you are a beginner. It is important to understand that the chances of losing the money are just as high as the chances making big profits. Therefore invest with just a little of your money, an amount that you can afford to lose. You can always invest more money as you continue to understand the market, but just make sure you are not left with nothing. Since we’ve already mentioned that trading in stocks is unlike gambling in casinos, you should have a definite strategy when trading. Don’t just go with your feelings. If you’ve set your targets at a given price, just sell off when you reach your target. Sometimes the stock might seem to increase far beyond your set targets. But don’t be greedy. The price could fall suddenly, and make you lose out altogether. Likewise, you should know when you have lost for the day. Let’s face it. The reality about Stock markets is that sometimes you are bound to make losses. When you make losses, accept it. It doesn’t help much when you keep holding on to stocks waiting for them to gain. Sometimes you just accept, count your losses and move on. And you should be flexible too. Even when you think yours is the ideal strategy, you should be willing to look at the market as it behaves. If your strategy is not working for the day, change it! Lastly, being a successful investor means being up to date with the news in order to predict the behavior of stocks. 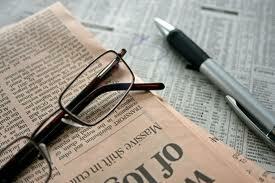 You should therefore be a friend to newspapers too because that is how you get an insight into the market.